No2 in the best seller charts! I knew from the start that Zeena’s story was going to be different. She was 14 and had asked to come into foster care. Although she was Asian she told the social worker she couldn’t live with an Asian family. She was petrified of something, but couldn’t tell anyone what. She arrived at my house with a small suitcase packed by her mother, but when we opened it – I was going to help her unpack – she became upset and quickly closed the lid. She said the clothes weren’t hers. I thought nothing more of it, assuming her mother had made a mistake. When I eventually found out the true significance of these clothes I was absolutely horrified. Zeena was a kind and polite child, but deeply troubled. Having been disowned by her family we were the only family she had. She missed her little brothers and sisters dreadfully, but her parents wouldn’t allow her to see them. When she tried, her father grabbed her, bundled her into his car and threatened to set her on fire. Zeena couldn’t take any more and broke down sobbing. She was finally able to tell me what had happened to her and I’ll never forget it. 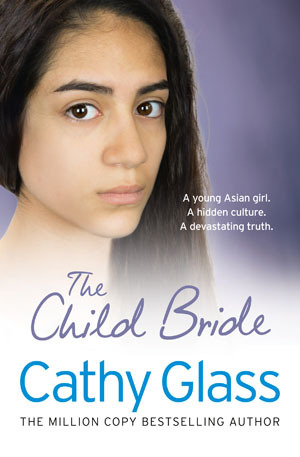 …international bestselling author, tells the shocking story of Zeena, a young Asian girl desperate to escape from her family. Another sad, yet spectacular, book from Cathy Glass. The way Cathy tells her story is a credit to her good writing ability.